Dave Jordan, inventor, is an electrical engineer who once designed control systems for industrial robots. He’s been perfecting Boomer ever since. In addition to his technical expertise, he brings some knowledge of tennis to serve up as well. 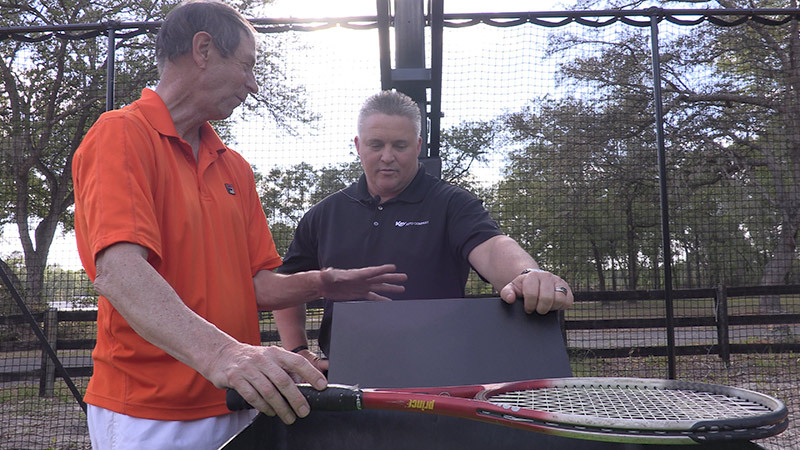 He was named the first tennis All-American at the University of Rochester in 1976, and he acquired the nickname “Boomer” when he was playing competitively in Danbury, Conn., where he won both the municipal men’s singles and doubles title in 1990. He still plays when he can but his feet prefer volleyball after an injury. Jordan was inspired to invent Boomer because in reality you just never know where, or how fast, your opponent is going to hit the ball. A good player will keep you guessing, and disrupt your rhythm. Jordan wanted Boomer to be an opponent that can play anytime you’re ready and in way that makes you practice like you’re with a real person.